I’m pretty pleased with myself I must admit. 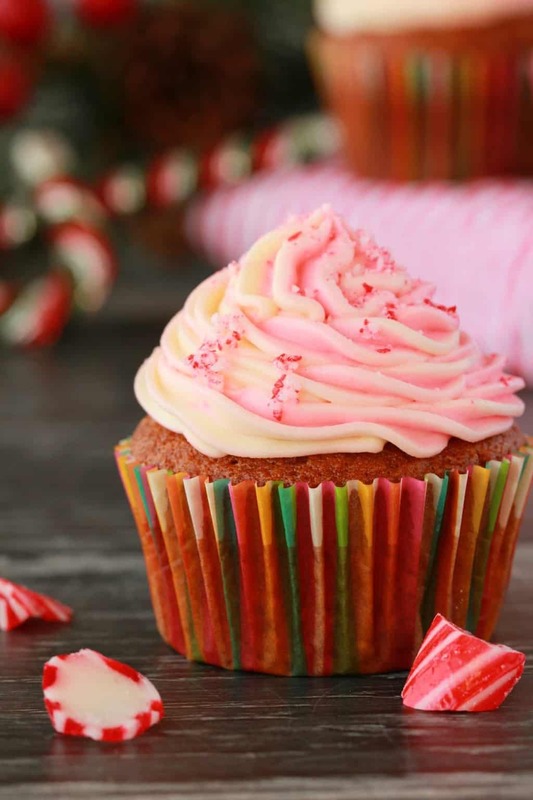 I reckon I really killed it with this pink swirl in the peppermint frosting, don’t you think? 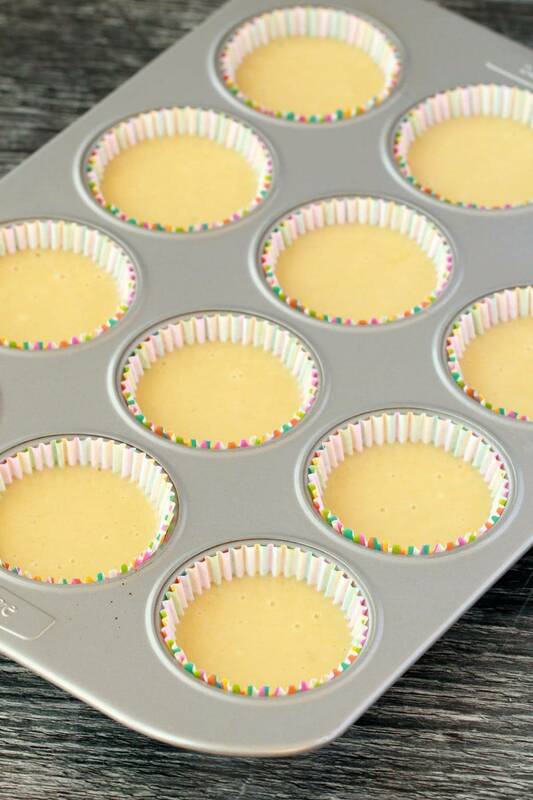 A reader commented recently that her cupcakes hadn’t come out as golden brown as mine (this was posted on our gluten-free vanilla cupcakes recipe) but you know with baking, you can try the recipe 3 times in the same day and have a slightly different result every time. Like these came out super golden brown, but the recipe they’re based on, the vanilla cupcakes linked above, didn’t come out nearly so golden brown as this! I can only tell you, it all tastes amazing, and that’s all that counts. 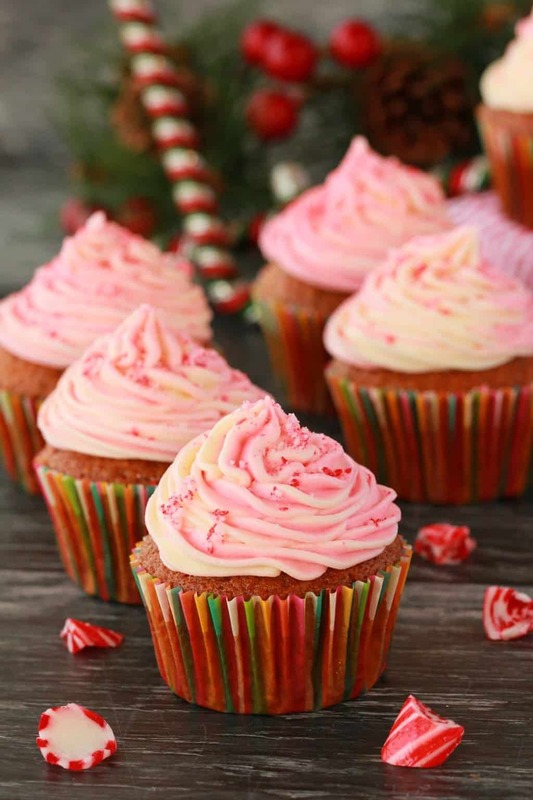 The pink swirl in the peppermint frosting is actually too easy. 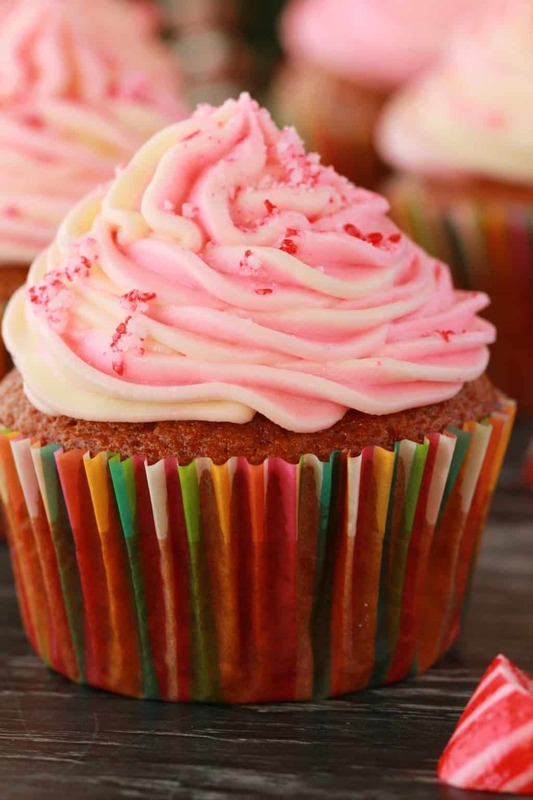 All you have to do is separate your frosting into two bowls and then add a couple of drops of pink (or red) food color to the one bowl and mix it in, so you have a bowl of pink and a bowl of white. Now you just put roughly equal amounts of each into your piping bag or piping syringe (what I use, I still – after all this time – can’t seem to handle a piping bag properly!) and then just go for it! Every cupcake will have a slightly different amount of each color but the swirl will be there. I’ve seen pics of those who use a piping bag, just put in the white frosting first and then shove the alternate color into the middle. With my piping syringe, I have less space to play with so I just went with half the color on one side and then half the color on the other side. It’s not perfect (pretty messy in fact) but it doesn’t matter because it doesn’t need to be perfectly lined up to come out with a nice swirl. 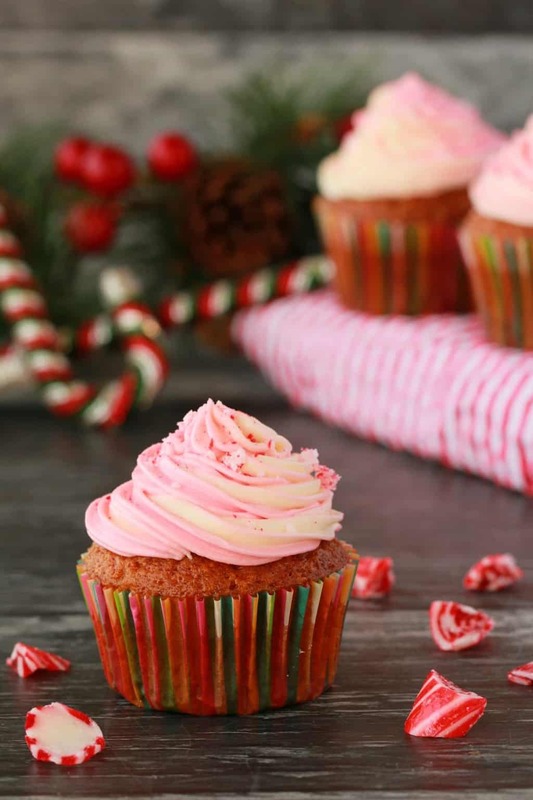 And then top with some crushed peppermint candy canes for the perfect peppermint topping! I tried first to use some bigger pieces of candy cane for the topping but they just wouldn’t stick, so crumbles it was. 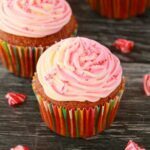 Topped with pink swirl frosting! 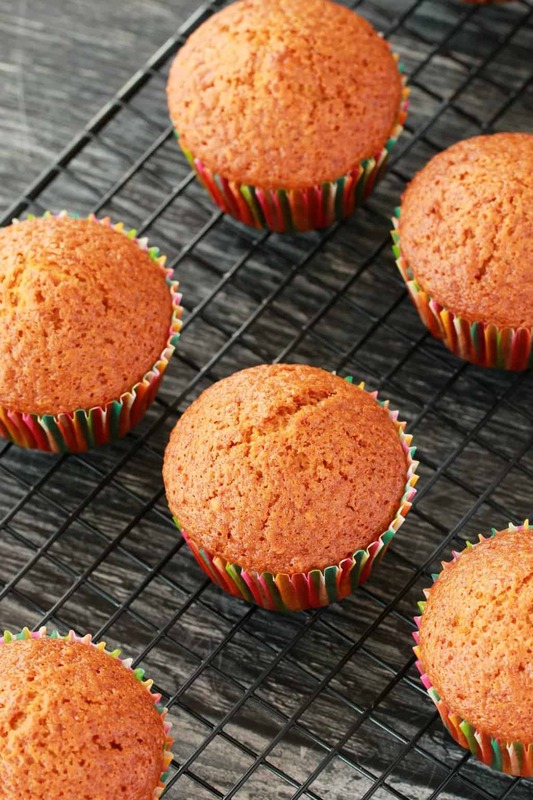 Keep them covered at room temperature and they’ll stay wonderfully fresh for a few days, or keep them covered in the fridge if you need them to stay fresh longer, in the fridge they’ll stay good for up to a week! 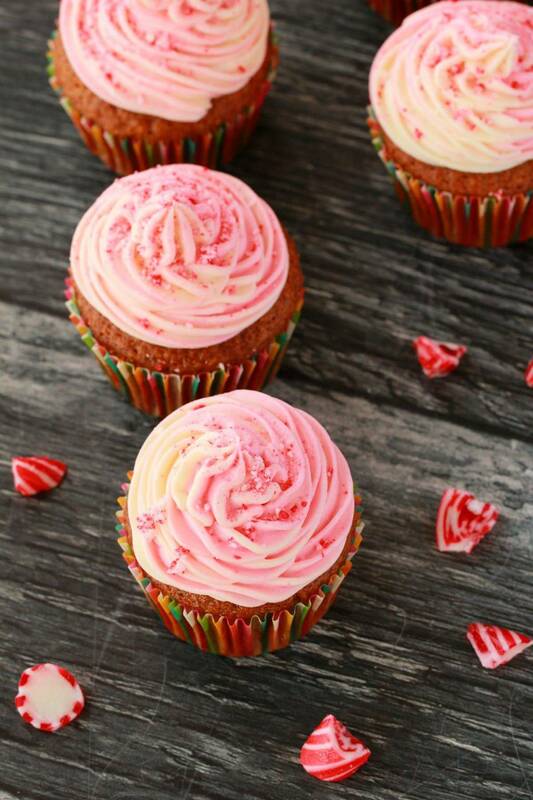 So what are your thoughts on gorgeous vegan peppermint cupcakes with pink swirl peppermint frosting? Let me know in the comments! And if you make the recipe please rate it and let me know how it turned out for you! 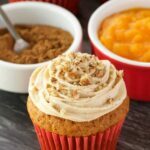 For more delicious cupcakes, check out these favorite recipes! 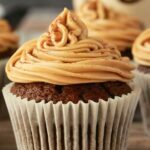 There’s seriously loads more recipes, making cupcakes is up there with my favorite things in the whole world, so just type ‘cupcakes’ into the search bar to see all the other great options on the blog. And while you’re here, sign up to our email list! 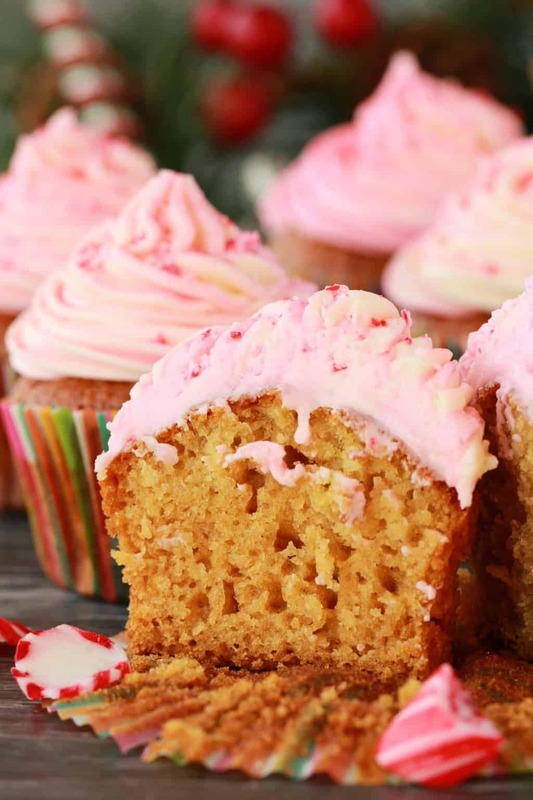 You’ll get an awesome free recipe ebook (contains 10 great recipes!) as well as staying updated with all our latest recipes posted to the blog. 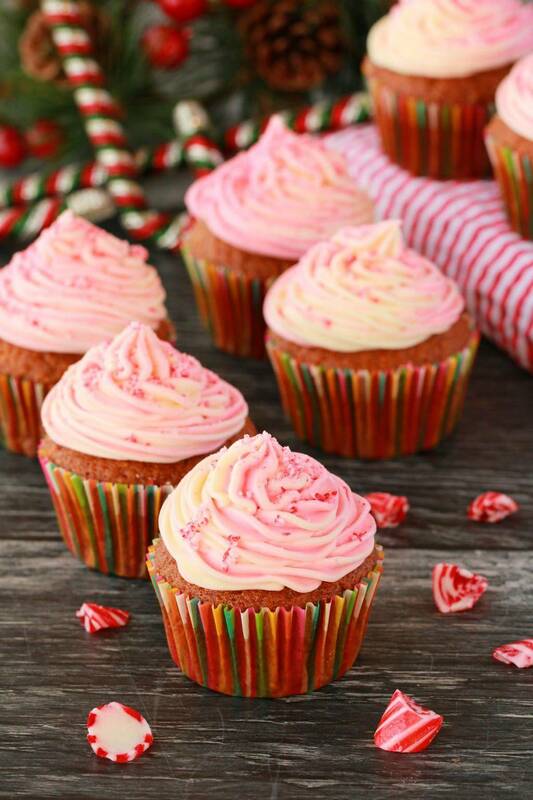 Gorgeous vegan peppermint cupcakes with a pink swirl peppermint frosting! 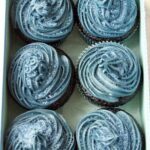 These vegan cupcakes are moist, spongey and sooo pretty. 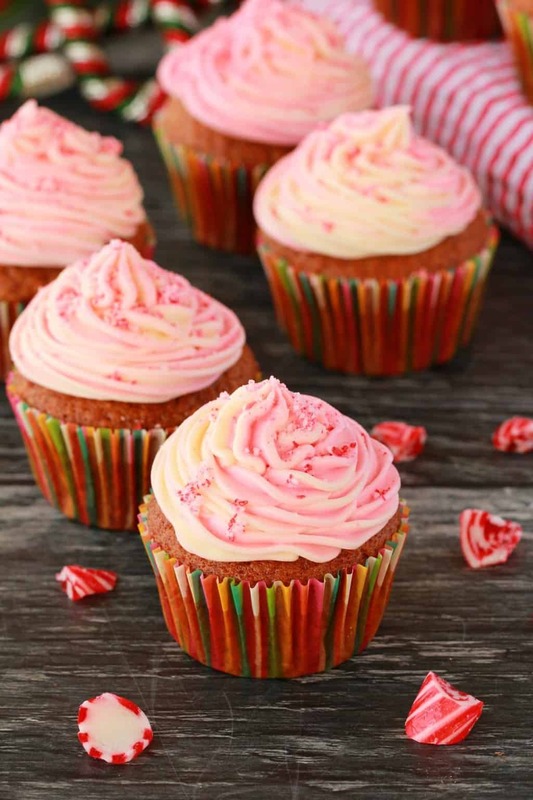 Loaded with peppermint flavor, this is a winner for anyone who loves peppermint, and cupcakes! Then add the soy milk, vanilla, peppermint, oil and vinegar and using a hand whisk, whisk it up briefly to remove any big lumps (tiny lumps are fine!). 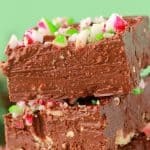 Add the vegan butter, powdered sugar, peppermint extract and soy milk to the bowl of an electric mixer and beginning on low speed, gradually increase speed until the frosting is thick and smooth. If your frosting is too thin, add more powdered sugar, if it’s too thick, add soy milk a drop at a time until you reach the right consistency. It should be thick (as pictured) to be able to pipe it properly. 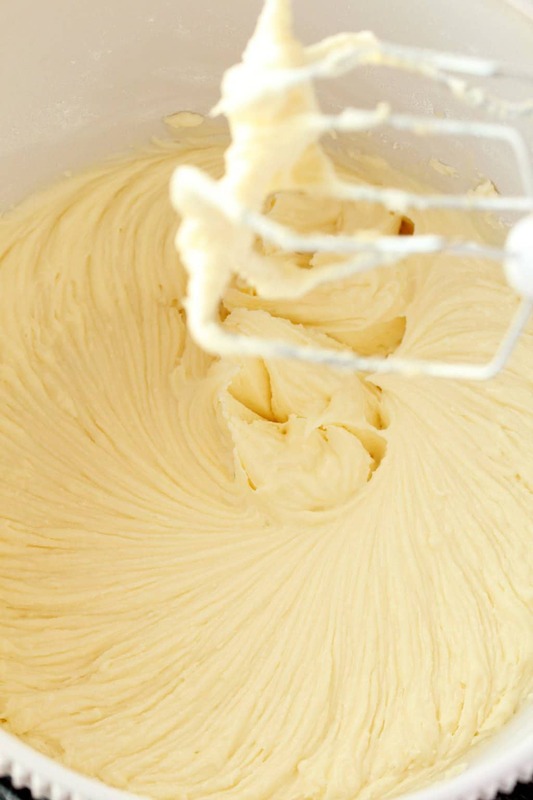 Divide the frosting into two bowls. 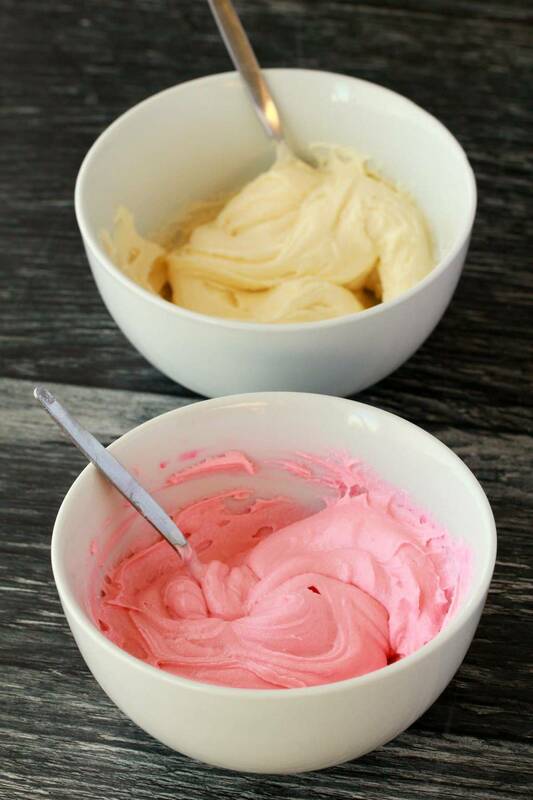 Add a few drops of pink or red food coloring to one of the bowls and mix it in to get a nice pink color. 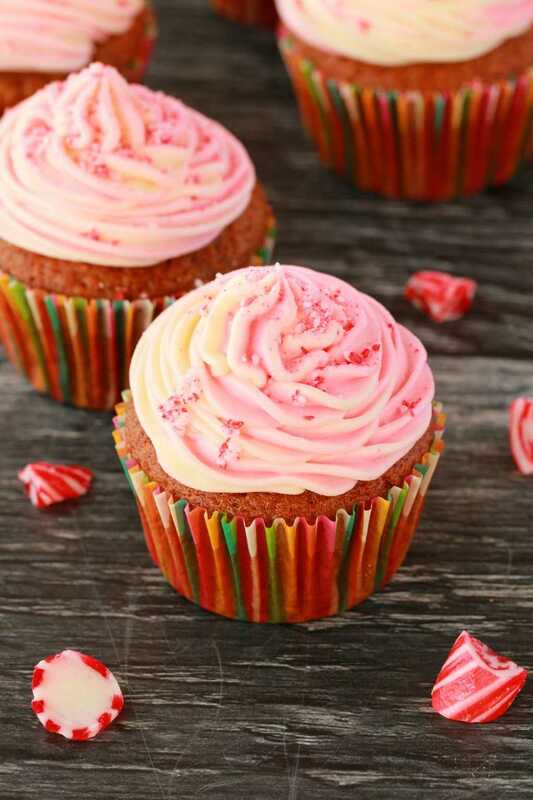 Then add roughly equal amounts of each color frosting on either side of a piping bag or syringe and pipe the frosting onto the cupcakes, getting the pink swirl. *You can use any vegetable oil that you prefer but if you use coconut oil, make sure it is melted first. *I used white vinegar, but apple cider vinegar would be fine too. *Nutritional information includes frosting and crushed candy canes. Very festive looking but mostly delicious! What do you use for vegan butter? Is it like a margarine? Yes, it’s margarine basically, you get vegan made buttery spreads like Earth Balance (US) and Nuttelex (Australian), other countries may not have a vegan made product but usually will still have a dairy-free margarine that is good for baking so it depends where you are. You can make your own vegan butter that tastes divine and works great in baking. Thanks- I made one of your recipes before and the vegan butter I used was so oily so I think I need to explore other options! What recipe size alterations/baking time alterations would you suggest for making this into a two layer round cake? Thank you! Thank you so much! I just love all your recipes; I make them all the time, and I’m always so excited when you post new things! 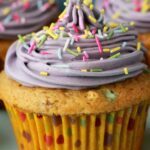 Thank you for being an awesome vegan baker/cook and sharing your wonderful recipes! 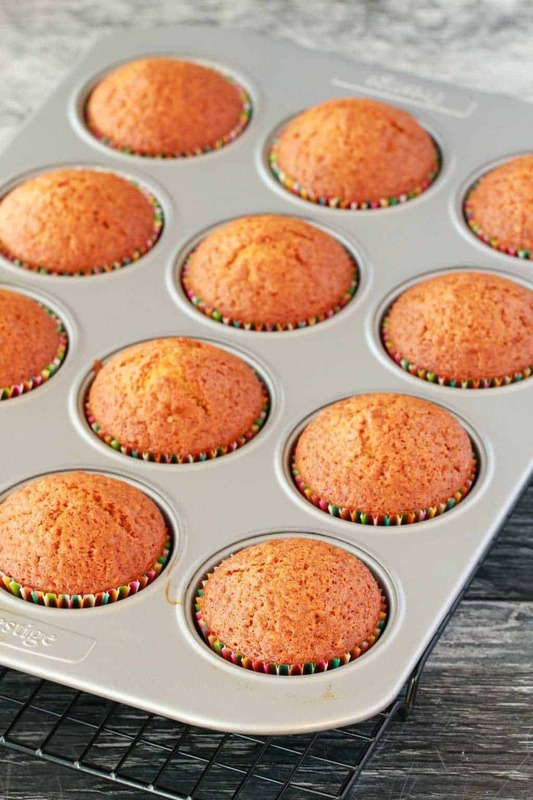 Question: What is the best way to store these cupcakes? I also saw that there is no flax egg in these. Is that correct? Hi Pauline, yes it’s correct there is no flax egg needed in these cupcakes. Store them covered at room temperature where they will stay good for a few days or in the fridge, also covered, where they will stay fresh for up to a week. 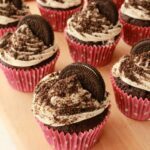 I made this cupcakes today. Everyone who had one loved them. Thanks for sharing your recipes.